National security adviser John Bolton, center, and President Trump's chief of staff John Kelly, right, attend a Cabinet meeting in the White House, Tuesday, last month. North Korea is renewing its harsh criticism of the United States for failing to live up to the spirit of the Singapore summit, but Pyongyang is sparing President Trump as it blames "some high-level officials" within the administration. The foreign ministry said in a statement on Thursday that the U.S. should not expect North Korea to follow through on promises to denuclearize as long as Washington adheres to "old scenarios" that have failed in the past. The comments come less than two months after Trump met in Singapore with North Korean leader Kim Jong Un, after which the president proclaimed a historic breakthrough in relations. Since then, Pyongyang had taken "such practical denuclearization steps" as discontinuing nuclear and ballistic missile tests as well as "broadminded measures" such as returning the remains of Korean War dead, North Korean foreign ministry said. Even so, the U.S. has responded, "by inciting international sanctions and pressure," the statement, carried by the official KCNA news agency, said. "As long as the U.S. denies even the basic decorum for its dialogue partner and clings to the outdated acting script which the previous administrations have all tried and failed, one cannot expect any progress in the implementation of the [North Korea]-US joint statement including the denuclearization," the ministry said. It blamed "some high-level officials within the U.S. administration," who were "going against the intention of President Trump." While the statement did not mention anyone besides the president by name, it is likely at least partially a reference to national security adviser John Bolton, a long-time North Korea hawk. 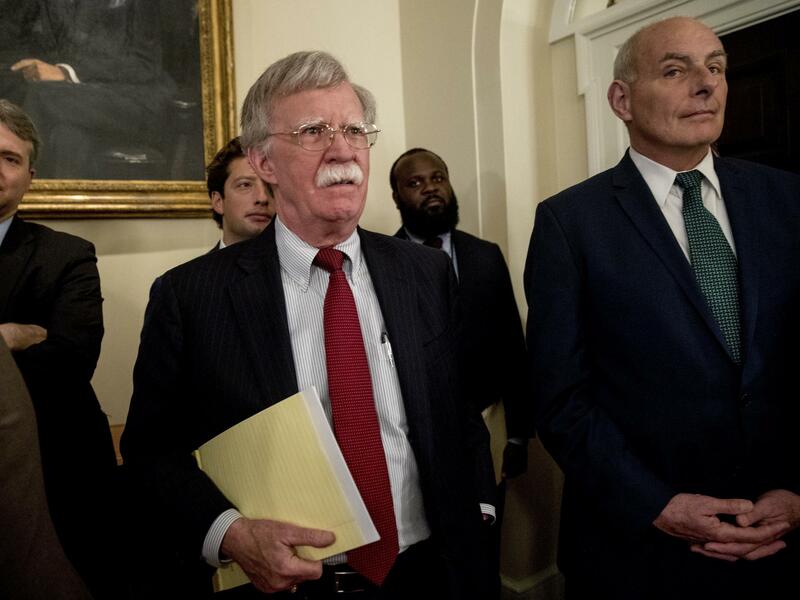 In an interview Tuesday on Fox News, Bolton said that the U.S. had held up its end of the Singapore declaration, while North Korea had failed to take "the steps we feel are necessary to denuclearization." "The idea that we're going to relax the sanctions just on North Korea's say-so, I think, is something that just isn't under consideration," he said. "We're going to continue to apply maximum pressure to North Korea until they denuclearize, just as we are to Iran." Bolton's remarks come amid growing evidence that Pyongyang is moving ahead on its ballistic missile program even as it seeks broader engagement with the U.S. In the weeks after the Singapore summit — after which the president announced that North Korea no longer posed "a nuclear threat" – Pyongyang reportedly set about an expansion of a ballistic missile production facility and then began building new liquid-fuel ICBMs.